Radioecology is an important part of radiation impact assessments after incidents and accidents, during routine operation but specifically for planning and implementation of environmental remediation during and after decommissioning of nuclear facilities and waste management. The study of the spatial and time dependent behaviour of radionuclides can contribute to a better understanding of more general environmental processes, specifically the behaviour of non-radioactive pollutants. • Emergency preparedness and environmental and radiation safety and security. • Statistical methods and data analysis. r.e.m. 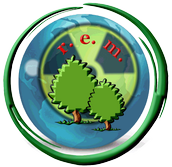 has a strong record in lecturing and conducting successful training courses in radioecology in many countries worldwide resulting in educated radioecologists being now successful in their career.